Lot Detail - Zoma the Cannibal. Sideshow Banner. Zoma the Cannibal. Sideshow Banner. Zoma the Cannibal. Sideshow Banner. Circa 1930. 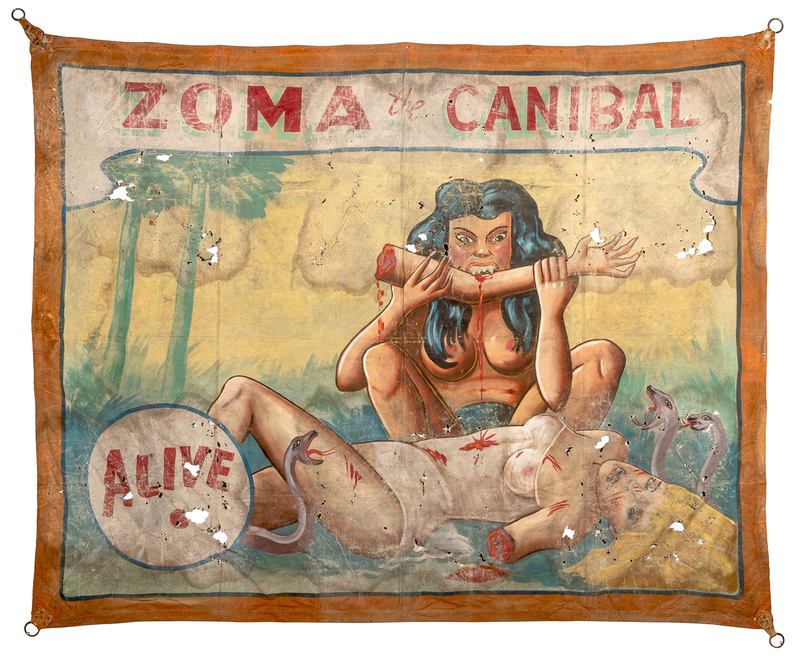 Unsigned vintage banner bearing a grisly depiction of Zoma devouring her prey. The actual performance was likely much more tame. 78 x 97”. Significantly worn, soiled and torn.